Coding and development are the engines on which any website runs. This complex process merits meticulous planning and a buildstrategy of its own.When done right, it guarantees the success of a seamless user experience conceived in the website design phase. From supremely interactive websites that generate leads to e-commerce projects that convert, our expert development team never disappoints. The smooth and coherent manner in which way a visitor navigates and interacts with your website is what differentiates a good-looking website from a site that provides an exceptional user experience. Does the page update without the user having to reload it? Do all the buttons react like they should? Are forms appearing at the right places? Are you acknowledging a user’s action and giving them feedback? All these require developers who are well-versed with the nuances and techniques of front-end development. Cookie-cutter solutions don’t excite our talented developers. We take pride in delivering complex custom requirements with cent percent accuracy. 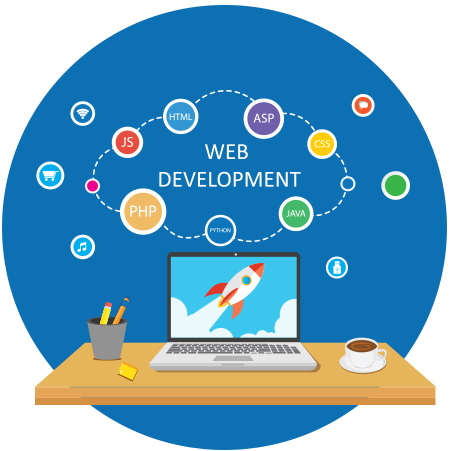 Be it the look and feel of the website or the programming that is used in the back-end, the final product that we will deliver to you would be exceedingly dynamic, functional and interactive. Since open source software is freely available to all who want to use it, you are protected from huge licensing costs. The only money that you will be spending here would be for the many years of experience and the knowledge of our artistic developers. Not using proprietary code also means that no agency will be able to force you into a retainer program. So, you are looking to increase your customer base via an online store? We can deliver a solution that will showcase your products in such an attractive manner that the user will feel compelled to buy. For a seamless experience, we will give you an admin panel that can be managed effortlessly and a secure payment gateway for hassle-free transactions. The website delivered to you will be fully-featured and ready to generate revenues. Exceptional digital projects needcutting-edge technology that is in perfect sync with the design. All the programming frameworks we choose are based on the exact needs of the client. Instead of looking for off-the-shelf solutions, we work on creating a strong architecture that has a huge scope for adaptability and scalability to cater to future demands.